mAh per display square in. 248mAh/sqrin. 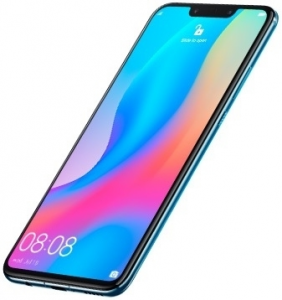 The Huawei nova 3 features a massive 6.3-inch IPS display with an expansive 19.5:9 aspect ratio and a 2340 x 1080 FHD+ definition, and it sports a 16- plus 24-megapixel dual rear camera, which was one of the highest-resolution dual-lens setups available as of its release. 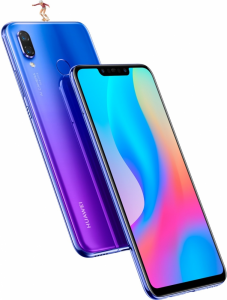 Also, it is one of the earliest Huawei smartphones to feature a dual camera up front, dedicating a 24-megapixel main cam and a 2-megapixel depth cam for selfies. Pros and Cons Review The nova 3 lacks a premium punch screen-wise, opting for a 1080p resolution only, but it swaggers around the high-end market with front-and-back dual-lens camera systems. We unveil its pros and cons in this specs-driven evaluation. 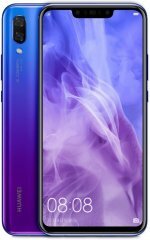 (more) New Huawei phones View all the new and upcoming Huawei phones. * Specifications cannot be guaranteed accurate. Do a confirmation of the key specs before making a final choice. 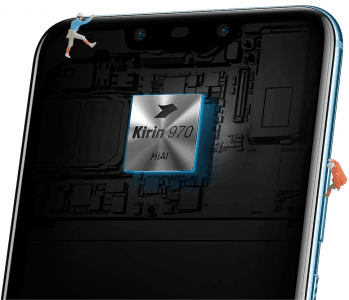 Cell phone makers do not always detail all their phone's functions, making it difficult for us to guess whether or not a specific cell phone has a specific function. If you spotted an inaccuracy in this description, please let us know as soon as possible.